Assess your mastery of anesthesia. 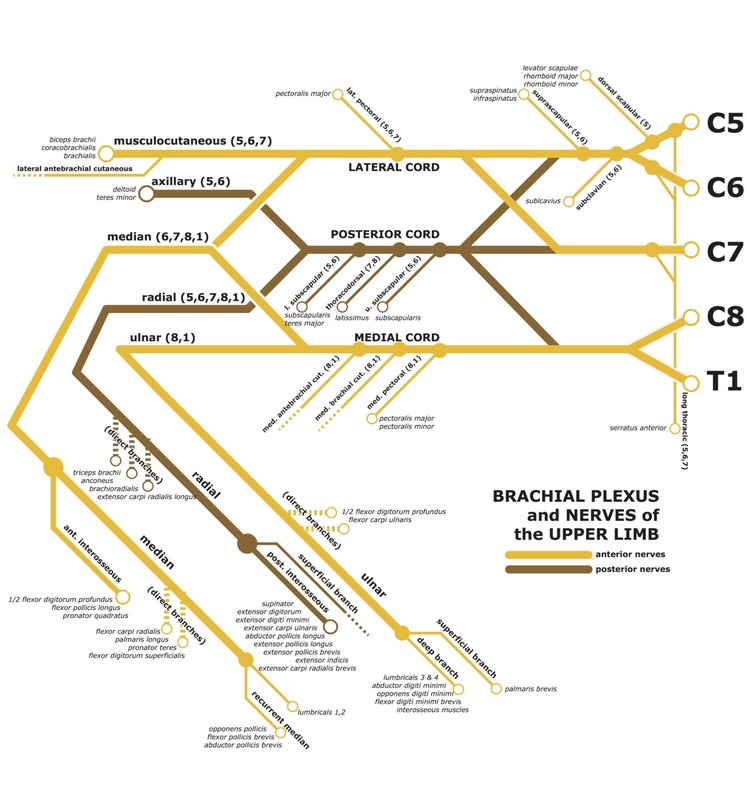 Choose 5 terminal nerves of the brachial plexus. Hint with text to reveal graphic. Arrange the following nerve fibers in order of conduction velocity, from slowest to fastest. Place the marker to indicate the site of auscultation for mitral stenosis.